According to word received in Milwaukee on Thursday by the Rev. 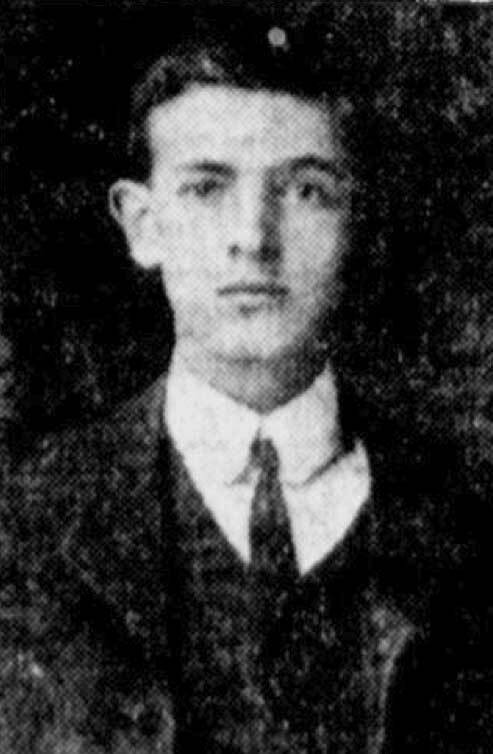 Mark W. Williams, among the bodies found floating in the ocean after the wreck of the Titanic, was that of Ernest B. Tomlin, a young Londoner, and a member of the London Tabernacle, where the Rev. Williams of Milwaukee was at one time pastor. Tomlin was returning from London, where he had been to attend the funeral of his father and was on his way to Milwaukee to visit the Rev. Williams. For the past several years young Tomlin has been studying for the ministry at Drake University, Des Moines, Ia. Several months ago he was called to London by the death of his father. After attending the funeral he had spent some time with relatives, after which he secured a passage on the ill-fated steamship on which he lost his life.